You'll end up timing everything! 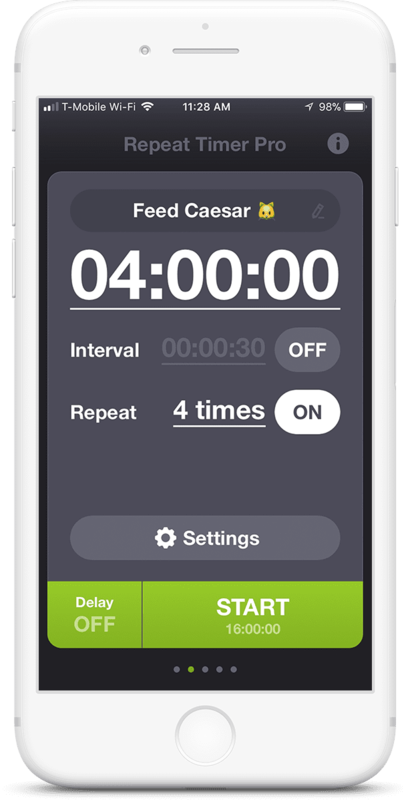 With a beautifully crafted and intuitive interface, tasteful sounds effects and animations, Repeat Timer Pro is a great replacement to your iPhone's stock timer for everyday tasks at home or at work. And with a secondary interval timer and repeat functions, it's perfect for anything and everything that needs timing! 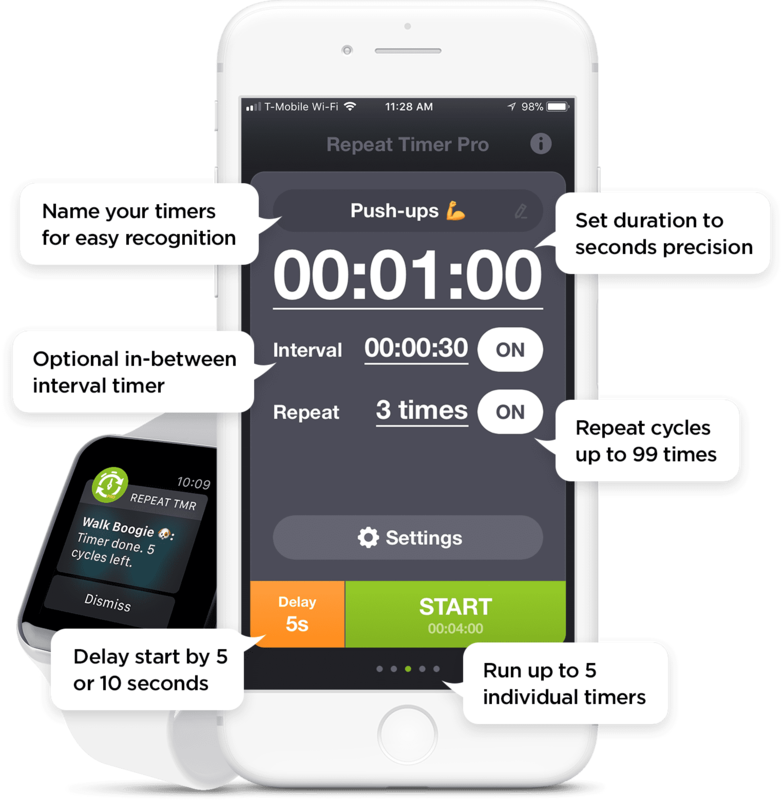 Easily configure your recurring timers in seconds via a simple animated interface, choose from 40 different alert sounds and run it in the background with hands-free notification alerts you won't miss. Boom! Downloaded over 200,000 times, Repeat Timer is relied on daily by parents, teachers, coaches and productive people worldwide! I rely on this for exercise, work time management, guitar practice and a few other tasks. Thanks! The perfect "nagging device". A timer to remind me to look away from computer, a timer to let me know another hour has passed. Love it! I love that this app just makes sounds, at intervals, without requiring me to take action to stop them. I've tried others, and this one is everything I need. Great selection of sounds and works perfectly, never had any issues with it. Hi! I'm William. I created the original version of this app back in 2013 when there wasn't one to remind me to look away from my screen and relax my eyes every 20 minutes. 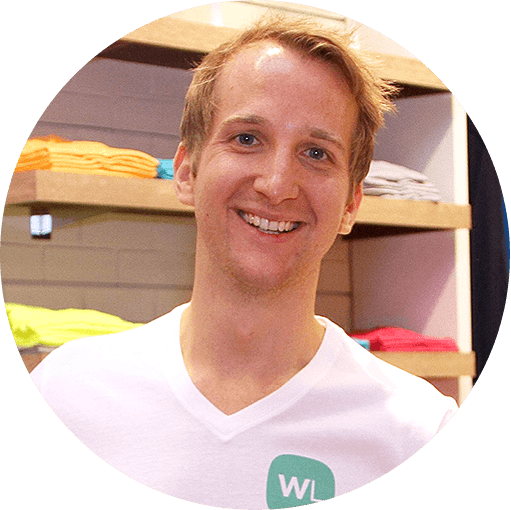 Check out my current project WorkoutLabs, where my team and I work to make fitness simple for everyone.